Microneedling is a collagen induction therapy that is used to rejuvenate your skin and make it look younger. Because of the cells aging the amount of important proteins lowes and we can’t stop the process on our own. Collagen and elastin are two kinds of proteins that we lose through the life. The first is responsible of tension and the second – of elasticity and flexibility. It does sound like an intimidating treatment. Thanks to the term “needle” in the name, it is considered as a more efficient way to carry out a facial. During the procedure, the collagen production is resumed, and the skin gets thick. Therefore after this treatment, you remain looking good for longer unlike the traditional facial. The skin remains radiant and smooth too. So, nobody will see fat gloss or large pores on the face cover. Hundreds of pinpricks getting into the skin is a new and innovative version of beauty treatment. However it may be the best thing happened to your face ever. The fine needles puncture the invisible and tiny wounds on the top layer of your skin. 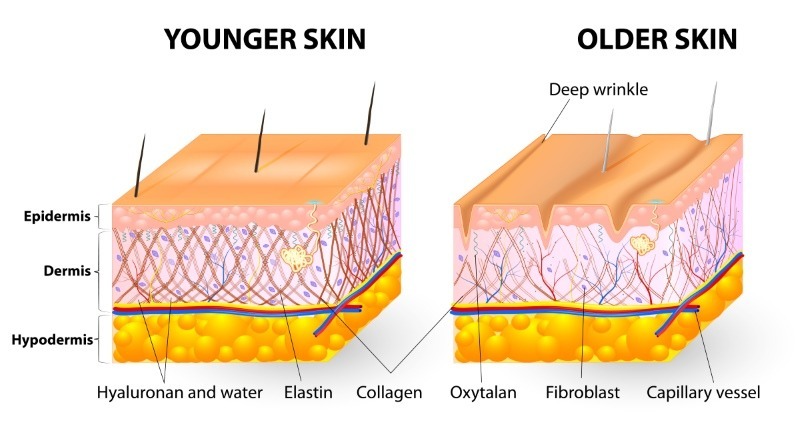 They influence skin cells through micro channels to make them produce collagen molecules. This is a minimally invasive treatment that can be executed by a plastic surgeon, dermatologist, and trained aesthetician by using dermapen. To prevent any harm or unpleasant feelings we also apply numbing cream before. The micro-needling develop micro-injuries that stimulate the natural healing process of the body. As a result, the turnover of the cell is increased, collagen is amplified, and more elastin is produced. This fantastic procedure not only prevents the sign of aging but also reverse it! Intelligent, isn’t it? This procedure works the same way as that of a laser treatment. But it uses needles to injure the skin in a mechanical way instead of light or heat usage. Micro-needling is hugely popular in skincare fanatics and is considered the subsequent best thing the world of anti-aging. So prevent your skin from aging and get micro-needling treatment here in Tampa! You will quickly notice that the treated area is smoother and softer. In addition, the full effects will be shown in a few months. Microneedling can be safely recurrent every 2 – 4 weeks until you get the coveted results. For collagen induction, we recommend starting with 3 therapies with 4 – 6 weeks between treatments. And 3-6 treatments for scar reduction. The number of treatments depends on how each body responds to them. Most of the clients see results after the first appointment. To ensure the right healing environs, for 2-3 days do not use retinol, AHA’s (Glycolic Acid), acidic or “active” ingredients. Avoid the sun exposure and use zinc-based sunblock at least for the first 24 hours. The major benefit of using dermapen makes the pore size reduced. Micro-needling motivates the collagen around and in the pores that cause them to appear shrunken and plump. Now, who won’t like to have smaller pores? Micro-needling is stimulating the growth of elastin and collagen that actually is the primary cause of making any skin youthful. This is a powerful procedure for stopping the aging process and preventing the formation of deep wrinkles and fine lines. You will feel the clear difference after few sessions: crow’s feet, deep wrinkles and fine line will be reduced. The best part of this miraculous treatment is that it uses body’s natural healing method and gives out wonderful results. Inarguably collagen is the most significant way to perk up the skin look, and this goes beyond reducing the wrinkles. The stimulation of collagen due to micro-needling also reverses the discoloration and skin damage including hyperpigmentation. Microneedling device in professional hands is a promising cure for brownish and blotchy facial pigmentation. The extra pigmentation due to the sun can also be significantly reduced by using dermapen. It also helps to achieve a glowing and clear skin. Micro-needling has a supernatural ability to correct the damaged skin and tightening of the losing skin. This makes micro-needling the most popular skin treatment for older women and men. The scar remodeling, skin tightening, and rejuvenation can be attained effortlessly from this amazing procedure for all skin types. At Anna Aesthetics, Micro-needling is not exclusively for the face, it is appropriate for mostly all parts of body. If it requires some repair treatment on the area, we can take care of this problem in few micro-needling sessions.